Tork 2 Ply White, very absorbent and strong kitchen roll. It is ideal for light cleaning duties. 120 sheets per roll, 8 rolls per carton. Total sheets in a carton is 960. HACCP Certified - Certified as food safe and suitable for use in cleaning operations in food facilities that operate a HACCP Food Safety programme. 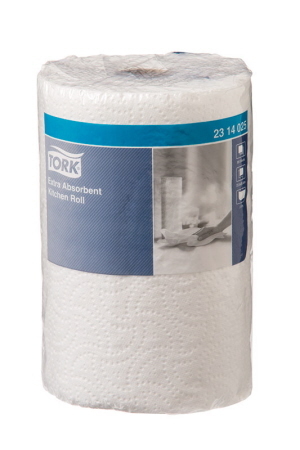 Extra Absorbent - Quickly clean up surfaces from liquid spills.